Extract from Irish Independent regarding Bank Closure. The following extract from a recent National Newspaper details the difficulties of another town in relation to a Bank Closure and how they dealt with it. This Extract has been taken from The Irish Independent, from Monday 17th April, 2017. A small rural town that lost two bank branches has rallied together to fill the gap by creating its own hybrid community bank. Residents of Glenamaddy in Co. Galway have come up with a solution that could be rolled out in other areas threatened by the loss of banks and post offices. Instead of complaining or calling on the Government for help, the town’s credit union and post office have combined to fill the void left by the departed banks. The unwritten agreement between credit union manager John Murphy and postmaster Mattie Potter is being credited with ensuring that most people who live in the area continue to shop in the town. 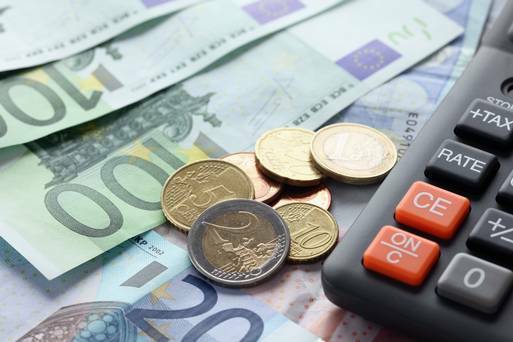 The initiative is being dubbed a community bank, and is helping to ensure townspeople do not lose out when it comes to financial services following closures of the Bank of Ireland and Ulster Bank branches in the past few years. “Since the Bank of Ireland and Ulster Bank branches closed, the credit union and the post office have been working together,” Mr Murphy, of the Glenamaddy Credit Union said. Members of the credit union are helped with making deposits to their banks with free electronic transfers, on the understanding that they could go back to the credit union when they need a loan. Along with making lodgements to a bank account, members can also use their debit cards in the credit union. This has seen the credit union’s loan book grow. The tie-up has also made the post office more viable. Some 9 out of 10 people in the area are members of the credit union. Members with large savings are encouraged to go to the post office by the credit union to put the funds into the State Savings Schemes, as in common with many credit unions it has too much in savings relative to lending. Mr Murphy offers members foreign currency in notes, but encourages members who want a currency debit card to go to the Glenamaddy post office for a currency card. The Payzone terminal for paying bills and topping up mobiles has been moved from the hardware shop attached to the post office to the credit union as part of the co-operative community banking move. “By working together we are providing a service and people don’t need to leave the town for services,” Mr Murphy said. Postmaster Mr Potter said there was no written agreement with the credit union. But the informal arrangement was helping to ensure people from the town and its catchment area were less inclined to travel to larger neighbouring towns to shop and use the banks.